Like many profound, beautiful, and powerful arts and sciences, yoga has suffered from the spiritual poverty of the modern world—it has been trivialized, watered down, or reduced to clichés. The deep and eternal essence of yoga has been misrepresented and packaged for personal profit by clever people. At the hands of some, yoga has been reduced to just another exercise program. In other contexts, yoga has been presented as a cult religion aimed at attracting “devotees.” Such a haze of confusion has been created around the clear and pure concept of yoga that it is now necessary to redefine yoga and clarify its meaning and purpose. Throughout history, yogic techniques have been practiced in both the East and the West, so it would be an error to consider yoga an “Eastern import.” In fact, yoga, with its powerful techniques for creating a sense of inner peace, harmony, and clarity of mind, is absolutely relevant to the modern world—both East and West. Given the increasing pace and conflict in modern life, with all its resulting stress, one could say that yoga has become an essential tool for survival, as well as for expanding the creativity and joy in our lives. Although yoga does not “belong” to the East, it is easiest to trace its roots there because cultural change has not obscured the origins of the science, and an ongoing tradition of yoga has continued to the present day. No one person “invented” yoga—yoga is a living tradition, a set of practices that dates back for centuries. A scholar and teacher named Patanjali codified these practices in the Yoga Sutra, written about the 2nd century BC. The most important teaching of yoga has to do with our nature as human beings. It states that our true nature goes far beyond the limits of the human mind and personality—that instead, our human potential is infinite and transcends our individual minds and our sense of self. The very word “yoga” makes reference to this. The root yuj (meaning “unity” or “yoke”) indicates that the purpose of yoga is to unite ourselves with our highest nature. This is accomplished through the practices of the various yoga disciplines. Until this re-integration takes place, we identify ourselves with our limitations—the limitations of the body, mind, and senses. Thus we feel incomplete and limited, and are subject to sorrow, insecurity, fear, and separation because we have separated ourselves from the experience of the whole. In the modern world we have become quite successful in our external achievements—we have created powerful technologies and a variety of products, we have accumulated power, wealth, property, and objects—and yet we have not been able to create either individual or social peace, wisdom, or happiness. We have only to look around and see the destructiveness of our weapons, the emptiness of our pleasures and entertainments, the misuse of our material and personal resources, the disparities between the rich and the poor, and above all, the loneliness and violence of our modern world. We see that amid our success in the external world, we have accomplished little of lasting value. These human problems will not be solved through new technological developments. Instead, their resolution will come only when we discover within ourselves that for which all of mankind is searching—inner peace, tranquility, and wisdom. This attainment is the goal of yoga, for yoga is the practical science intended to help human beings become aware of their true nature. In the modern world we have become quite successful in our external achievements—we have created powerful technologies and a variety of products, we have accumulated power, wealth, property, and objects—and yet we have not been able to create either individual or social peace, wisdom, or happiness. The process of yoga is an ascent into the purity of the absolute perfection that is the essential state of all human beings. This goal requires the removal of our personal impurities, the stilling of our lower feelings and thoughts, and the establishment of a state of inner balance and harmony. The purpose of all the methods of yoga is to perfect our personalities and help to create a new world order. In the beginning of this work, the greatest problem we experience is the inherent restlessness of mind, which by its very nature is outgoing and unsteady. The highest state of meditation, however, requires a calm, serene, one-pointed mind, free from negative emotions and the distractions created by cravings, obsessions, and desires. To reach the subtler levels of consciousness and awareness, we need willpower, clarity of mind, and the ability to consciously direct the mind toward our goal. This is possible only when we turn away from our preoccupation with external acquisition and seek to stop all inharmonious or negative mental processes. To achieve this, we do not need to give up our homes and society and retire to a monastery. 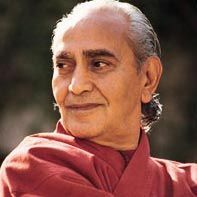 Instead, we can achieve a state of peace, harmony, and contentment in our daily meditation, and thus carry out our life’s duties and activities with the love and devotion that emerges from our meditative experience. For those who want to follow the path of yoga toward peace and evolution, there are a few prerequisites. We need good health, a calm mind, sincerity, and a burning desire to rise above our human imperfections. Imbalances or excesses in food, exercise, sleep, or our personal relationships produce physical and emotional disruptions that disturb the practice of yoga and meditation. Our health is maintained by a simple and well-regulated diet, adequate sleep, some physical exercise, and relaxation. If all the aspects of our daily lives are well balanced, then certainly we can make progress in yoga in the modern world. Regardless of where we live or what we do, we can create a life that is conducive to yoga. Hatha yoga, which deals mostly with body and breathing exercises that help the student become aware of his or her internal states. Hatha yoga exercises help to make the body a healthy and strong resource for the student. Karma yoga, the yoga of action. This path teaches us to do our duties in life skillfully and selflessly, dedicating the results of our actions to humanity. Practicing this aspect of yoga helps us to live unselfishly and successfully in the world without being burdened or distressed. Jnana yoga, the path of knowledge and wisdom. This path involves intense mental discipline. Knowledge dawns as we learn to discriminate between the real and the unreal, between the transient and the everlasting, between the finite and the infinite. This path is meant for only a fortunate few who are aware of the higher and subtler realities of life. Bhakti yoga, the yoga of devotion. This path is the way of love and devotion. It is the path of self-surrender, of devoting and dedicating all human resources to attaining the ultimate reality. Kundalini yoga, which is a highly technical science. The guidance of a competent teacher is required to learn methods for awakening the serpentlike vital force that remains dormant and asleep in every human body. Mantra yoga, which involves meditation and the use of certain sounds called mantras. These mantras were discovered in deep meditation by highly advanced sages and teachers. They are traditionally transmitted to students, and are used as objects of concentration. Mantras help students with self-purification, concentration, and meditation. Raja yoga, the “royal path,” which is very scientific and thorough. By following this path methodically, we learn to refine our desires, emotions, and thoughts, as well as the subtle impressions and thoughts that lie dormant in the unconscious mind. Raja yoga helps us to experience the inner reality by means of an eight-runged “ladder,” or eight steps. The ultimate goal is for the aspirant to attain the eighth rung, samadhi. Raja yoga encompasses teachings from all the different paths. Because it is all inclusive, it can be practiced by people of many backgrounds and temperaments. It involves all three dimensions of human interaction: physical, mental, and spiritual. By following this path, we achieve balance and harmony on all of these levels—and then attain full realization of the Self. Raja yoga is a scientific discipline that does not impose unquestioning faith. It encourages healthy self-examination. Certain practices are prescribed and their benefits described. Thus, this path can be scientifically verified by anyone who experiments with its methods. Because of this, raja yoga is ideally suited to the modern world, where scientific skepticism is so prevalent. Raja yoga is also called ashtanga yoga, or “the eightfold path,” because the eight steps create an orderly process of self-transformation, beginning on the level of the physical body, and eventually involving the most subtle levels of life. The eight steps are yama, niyama, asana, pranayama, pratyahara, dharana, dhyana, and samadhi. The first five rungs or steps—yama, niyama, asana, pranayama, and pratyahara—comprise the external path of hatha yoga, which is preparation for the last three internal stages of raja yoga. The yamas and niyamas are ten commitments of attitude and behavior. One set of such disciplines (niyamas) is meant to improve the human personality and the other (yamas) is meant to guide our relationships and interactions with other beings in the world. Thus, yoga is an education for both internal and external growth. The five yamas, or restraints, are non-violence, truthfulness, non-stealing, sensual moderation, and non-possessiveness. Their practice leads to changes in behavior and emotions, in which negative feelings are replaced by positive ones. The five niyamas, or observances, are cleanliness (both external and internal), contentment, practices that bring about perfection of the body and senses, study of the scriptures, and surrender to the ultimate reality. The niyamas lead to the control of our behavior and eventually are extremely positive factors in developing the personality. In the beginning we should not be discouraged by the challenge of these first two steps. For example, even before we have succeeded in developing the trait of non-violence completely, we will see increasing peace in our lives and meditation as a result of attempting to practice this yama. The third rung on the ladder is asana (physical postures). Usually, when hatha yoga is taught in the modern world, only asanas and certain breathing practices are taught, and the yamas and niyamas are ignored. Because of this, hatha yoga has become superficial, sometimes emphasizing only physical beauty or skill and strength in postures. Certainly asanas and breathing exercises create physical health and harmony, but only when our minds are free from violent emotions can we achieve a calm, creative, and tranquil mental state. Certainly asanas and breathing exercises create physical health and harmony, but only when our minds are free from violent emotions can we achieve a calm, creative, and tranquil mental state. Actually, there are two types of asanas: meditative postures (sitting postures) and postures that ensure physical well-being. A stable meditative posture helps us create a serene breath and a calm mind. It should be comfortable and stable, ensuring that the head, neck, and trunk are erect and in a straight line. If the body is uncomfortable, it makes the mind agitated and distracted. The second kind of postures is practiced to perfect the body, making it limber and free from disease. These postures stimulate specific muscles and nerves and have very beneficial effects. The fourth step of raja yoga is pranayama. Prana is the vital energy that sustains body and mind. The grossest manifestation of prana is the breath, so pranayama is also called the “science of breath.” Pranayama exercises lead to calmness and concentration. The fifth step is pratyahara, or withdrawal and control of the senses. While we are awake, the mind is involved with the events, experiences, and objects of the external world through the five senses of sight, hearing, touch, taste, and smell. The mind constantly gathers sensations from the external world through these senses and reacts to them. To attain inner calmness, the student of yoga will need to develop the ability to voluntarily remove the distractions of the outer world. This is not a physical process. It is the voluntary, mental process of letting go of our involvement with external sensations. The first five external steps of hatha yoga prepare the student for the last three internal practices of raja yoga. These are dharana, dhyana, and samadhi, which focus more directly on control of the mind. Our sensory impressions distract the mind when we want it to become aware of the serenity within. Thus, it is useful to learn dharana, or concentration, the sixth step in raja yoga. In concentration, the scattered power of the mind is coordinated and focused on an object through continued voluntary attention. This requires a conscious effort of the will, and it is developed through consistent practice. Through concentration, a scattered, weak mind is focused and made more powerful. The seventh rung on the ladder of raja yoga is dhyana, or meditation. Meditation is the result of continued, unbroken concentration. Concentration makes the mind one-pointed, calm, and serene. Meditation then expands the one-pointed mind to the superconscious state. Meditation is the uninterrupted flow of the mind toward one object or concept, and when the mind expands beyond its conscious and subconscious levels and assumes this superconscious flow, then intuitive knowledge dawns. All the methods of yoga prepare us to eventually reach this stage of meditation and thus attain peace, perfection, and tranquility. In our daily lives, meditation can be very helpful in eliminating physical and psychological problems. Many diseases we experience are actually either directly or indirectly the result of conflicts, repression, or emotional distress arising in the conscious or unconscious mind. Meditation helps us to become aware of these conflicts and to resolve them, establishing tranquility and peace. In this way, meditation becomes a powerful resource for facing the challenges of daily life. If we really consider how we learn in the modern world, we realize that despite all our emphasis on education, our education is one-sided and shallow. We may learn to memorize equations and facts, but we do not learn how to understand and develop our own inner life. Our minds remain scattered and our emotions persist as negative, conflicting forces. We are able to use only a small portion of our mental abilities because we are preoccupied with confusion, fear, and inner conflict. Meditation helps us to overcome these limitations; it helps us to become aware of the subtler and more positive powers within. In gaining this awareness, we become creative and dynamic. Abilities such as intuition, which many consider unusual or rare, are actually within the potential of all human beings who meditate. Such gifts are available to those who make contact with the deeper aspects within themselves. Prolonged and intense meditation leads to the last step of raja yoga—the state of samadhi, the superconscious state. In this state we become one with the higher Self and transcend all imperfections and limitations. The state of samadhi is the fourth state of consciousness, which transcends the three normal states of waking, dreaming, and dreamless sleep. When we transform ourselves and experience serenity, peace, and freedom, we also transform our societies and all of human civilization. A person who attains samadhi becomes a gift to society. If humanity is ever to achieve a more evolved civilization, it will be possible only because of our growth and evolution as human beings. A person who is established in samadhi lives his whole life as a spontaneous expression of the unhindered flow of supreme consciousness. This superconscious level is our human essence; it is universal and transcends all the divisions of culture, creed, gender, or age. When we become aware of this state within, our whole life is transformed. When we transform ourselves and experience serenity, peace, and freedom, we also transform our societies and all of human civilization. This awareness of the infinite consciousness is the practical and real goal of yoga.